You are at:Home»Blog-News U can Use»Too Many Suppliers . . . Keep Looking! Too Many Suppliers . . . Keep Looking! Most of us can look at anything we “buy” on behalf of our company and see that we have opportunity for improvement. We may have too many suppliers, not enough suppliers or not the “right” suppliers. Whatever the situation, as Sourcing professionals it is our job to ensure that we have the best set of suppliers that provide the most value to our business partners. I recently read an article published in HBR from Michael Porter (remember Porters Five Forces Model) & James Heppelmann entitled “How Smart, Connected Products Are Transforming Competition”. The article explores the introduction of smart, connected products as a game changer that is “ushering in a new era of competition”. The article points out that information technology is revolutionizing products” (no surprise here) but the real point is the pace of change is such that we need to constantly keep a pulse on our supply markets to ensure that we understand how industry competition is being reshaped. If our role is to ensure we have the best set of suppliers for our business then we must be on top of changes in our supply markets. What are the economics of the supply industry, i.e., what drives the market? How important is brand value in our category? What are the main quality issues? How global is the supply industry (present and future)? What is the technological complexity of the goods/services? What are the primary value-added activities associated with the category? What are the critical success factors in the supply market? Can industry leaders sustain their advantage over the long-term? Do any markets for similar goods/services (or substitutes) represent a potential competitive threat to this one? Bargaining Power of Customer (Buyers) – Competition is high when buyers (as a group) have many choices of whom to buy from or when there are few buyers in the market. Threat of Substitute Products or Services – Competition is high if there are current or potential alternatives to using the product or service. Threat of New Entrants – Competition is high when it is easy for new players to enter the market. Intensity of Rivalry Among Existing Competitors – Competition is high when the industry has many players, there is little differentiation between products, or there is a history of aggressive marketing. 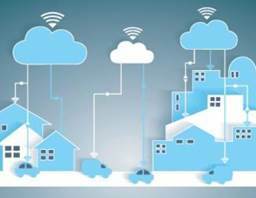 The article referenced above has Porter applying his five forces to the Smart, Connected Products industry. It is a great, current example (right from the Horses’ mouth) and illustrates the type of analysis we should be doing as a profession to keep on top of our game. As illustrated, the pace of technology is shifting markets soooo rapidly, it is hard to keep up. Understanding the shifts in our supply markets and sharing that insight with our internal business partners will help us be able to add value beyond “cost cutting”. It will also help us to continuously review whether we have too many suppliers, not enough suppliers or not the “right” suppliers.